In October I had the wonderful opportunity to attend the Produce Marketing Association’s Fresh Summit in Anaheim, CA. One of our hosts was Melissa’s Produce, who provided these specialty citrus for us during a private gathering about new trends in produce. I thought it would be interesting to bring home an example of each and give you more information about each type and how you might use it. One of the mind-blowing aspects of the Fresh Summit, besides more than 400 booths, is the staggering amount of produce on display. Most people might be able to name a few dozen types of produce. According to Melissa’s Robert Schueller, there are 1,200 varieties of produce for sale in the U.S. Twelve hundred. Before becoming a food blogger I was certainly a more adventurous cook than many, but I know that I tended to buy the same things over and over again. Companies like Melissa’s are hoping to encourage more people to vary their produce purchases, and they are always bringing new products to market in the U.S. Citrus is just the tip of the produce iceberg (not to be confused with iceberg lettuce, of course). First up, finger limes, also known as citrus caviar. They are more sweet with a little tartness, and are hot with chefs and mixologists right now, as the little pearls of citrus burst in your mouth when you bite down on them. 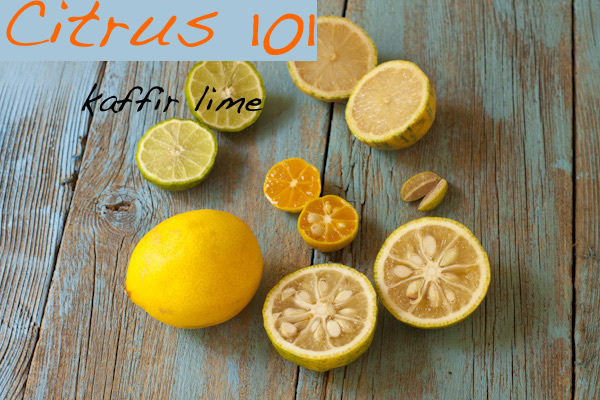 They come in yellow, green, and pink, and are the most expensive citrus at $9 for 3 oz. 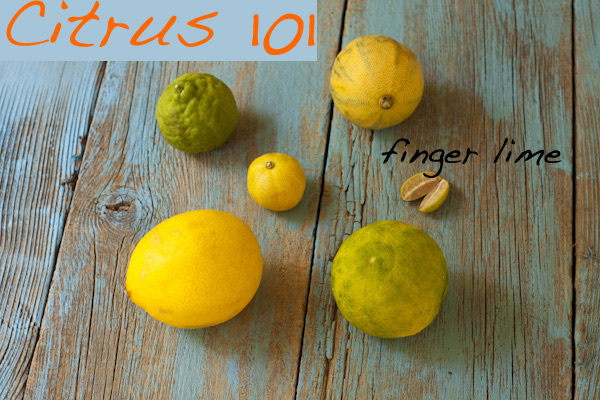 I saw a recipe for finger lime cheesecake that sounds like it makes great use of these unusual citrus. 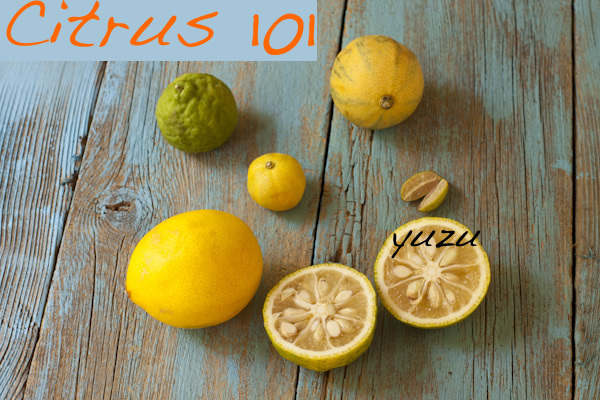 Yuzu—pronounced “ooh-zoo”—is used in Japanese cooking as the base for ponzu sauce. It’s primarily sold (by Melissa’s at least) as a green fruit, as the tartness in the juice is essential for this sauce. I found it to be a bit more sour than tart, with floral notes, more limey than lemony. They are available in Oct-Dec. I had never seen variegated pink lemons or Meyer lemons before moving to California, but I’m happy to know that they are now more readily available across the U.S. I’ve always had a soft spot for variegated anything, and think these little lemons are so pretty. They provide faintly pink juice with tart, strong lemon flavor. While you could use them to make pink lemonade (which is generally made via food coloring) you might need to add a few drops of cherry juice to give it a truly pink color. These would make snazzy pink lemonade jello shots. Calamondin are the size of kumquats, very tart with light orange notes reminiscent of mandarin oranges. Many years ago I made a key lime pie using calamondin juice instead of key lime juice, as calamondins grow wild in Florida. Susan Voisin has a lovely calamondin pie with an oatmeal cookie crust. Kaffir lime fruits were not traditionally used in cooking; only the leaves were. However, more chefs and mixologists are creating markets for these fruits, which can be juiced or zested. The taste is floral like gardenia, bitter, and a little soapy. The oil from the rind is actually used in Asia as an insecticide, while the juice is used in traditional medicine and as a cleanser. I might try it in my Thai green chile paste for a curry. My friend Liz the Chef is crazy about Meyer lemons and grows them in her yard. Since Liz guest-posted this week and is providing the giveaway, I thought it only appropriate to do this citrus post in her honor. 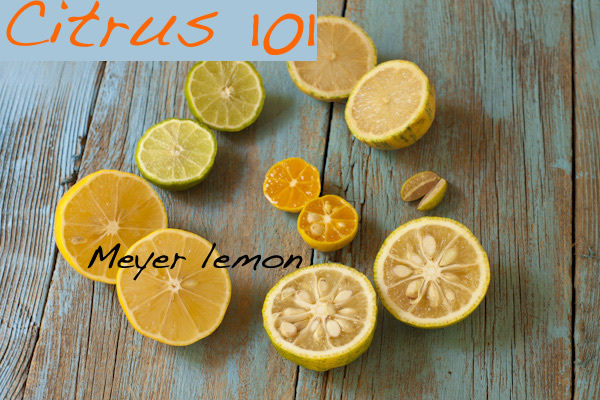 Meyer lemons have lovely thin skins and are richly juicy, tart-sweet and leaning towards orange. You could make my blood orange upside-down cake with them as well. Many of these would be great as candied citrus peels, too. I hope you have enjoyed this tour through the citrus groves with me! Required FTC disclosure: The citrus samples were provided by Melissa’s Produce. The Idaho Potato Commission provided my pass to the Fresh Summit. Thanks again to both! I was not paid to write this post. All of our recipes are gluten-free, sugar-free, and made with plant-based ingredients to help you build a healthy life. We support Meatless Monday. Look for recipes on Mondays featuring healthy, plant-based ingredient, midweek essays and how-to’s and giveaways on Fridays (when available). I am always amazed by the variety of fresh produce – I wish I could try all of them! 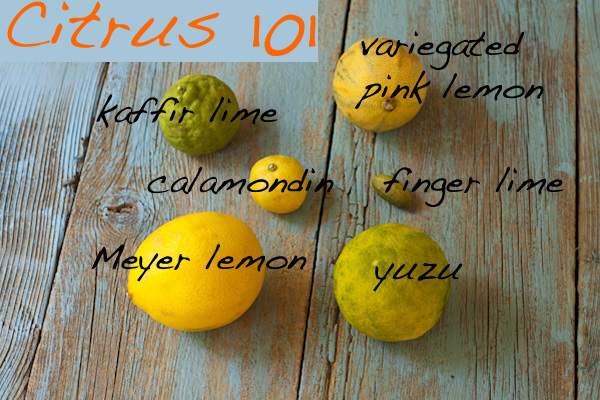 I’ve never tried fresh yuzu, variegated pink lemon or calamondin, but it would be fun to do a taste test. Thanks for mentioning my calamondin pie, Stephanie! 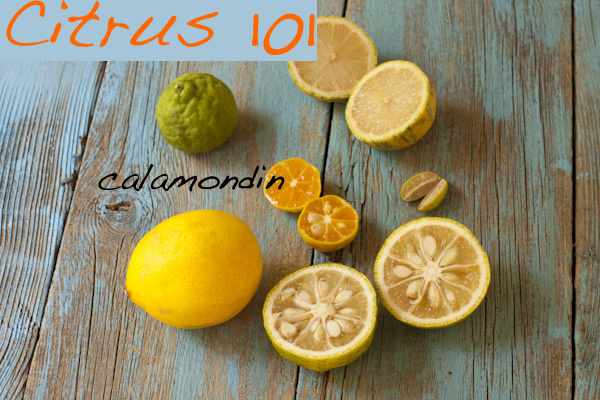 My calamondins are just starting to ripen, so I’m trying to think of fresh ways to use them. I’m lucky that my father grows Meyer lemons, but I wish I had ready access to these other unusual fruits. 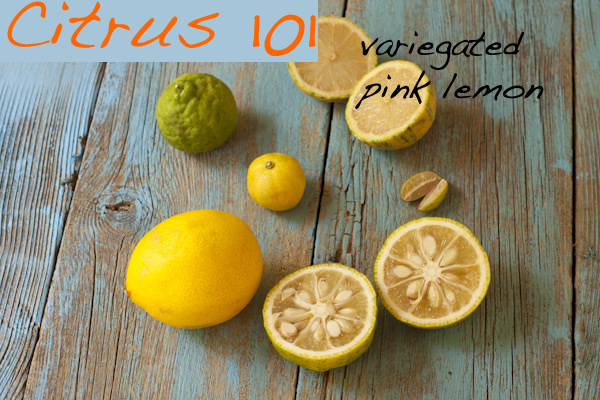 I’ll definitely be on the lookout for the variegated pink lemons–so cute! Anyone needing finger limes for their recipes can check out the above website for finger limes by mail. In stock. Wow, I had never seen a finger lime or calamondin before. Thanks for this great post! You are welcome Snehal. It was so fun learning about and tasting them all.